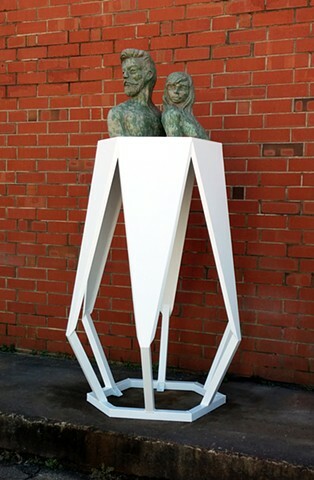 Outdoor sculpture features a man and woman with hipster haircuts. The ceramic glaze is called "old copper" and looks like jade. The two look like they might be having a lover's spat, so "jaded" has double meaning.